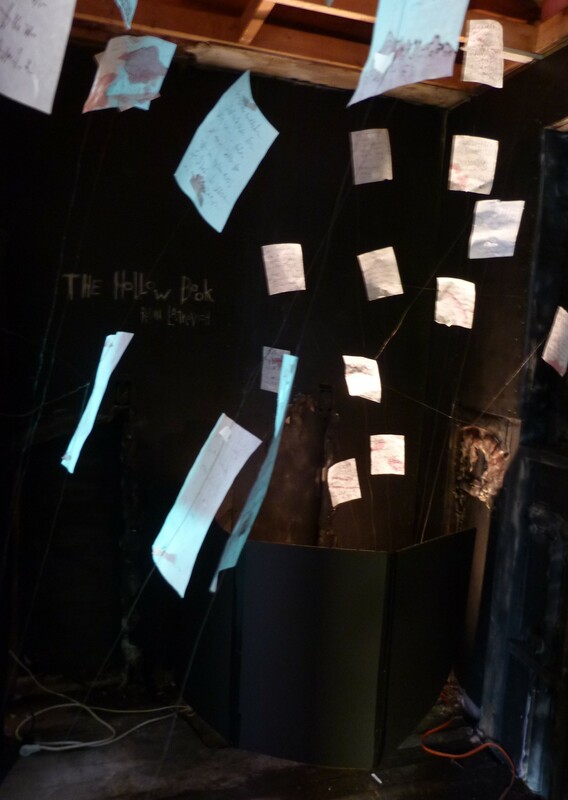 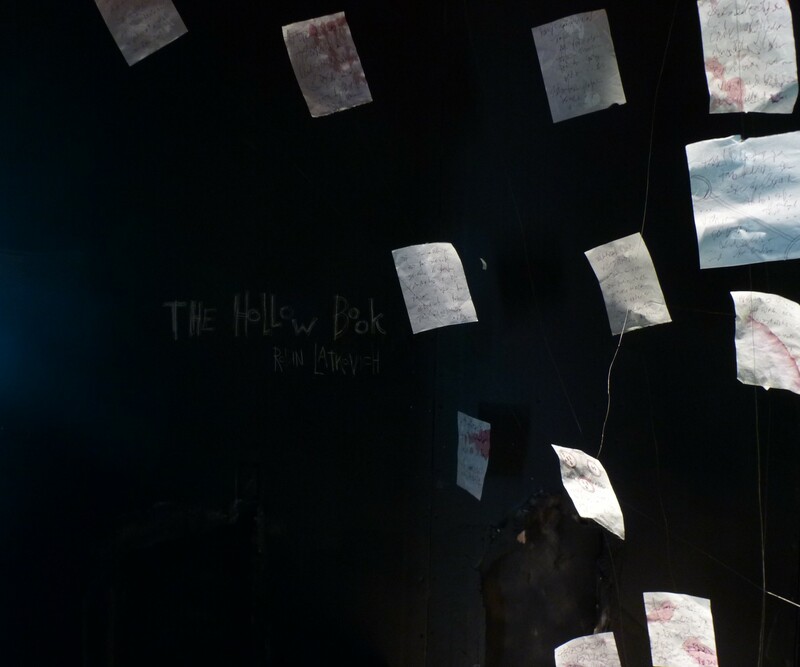 My latest installation, The Hollow Book, at the “Rooms to Let” temporary artspace. 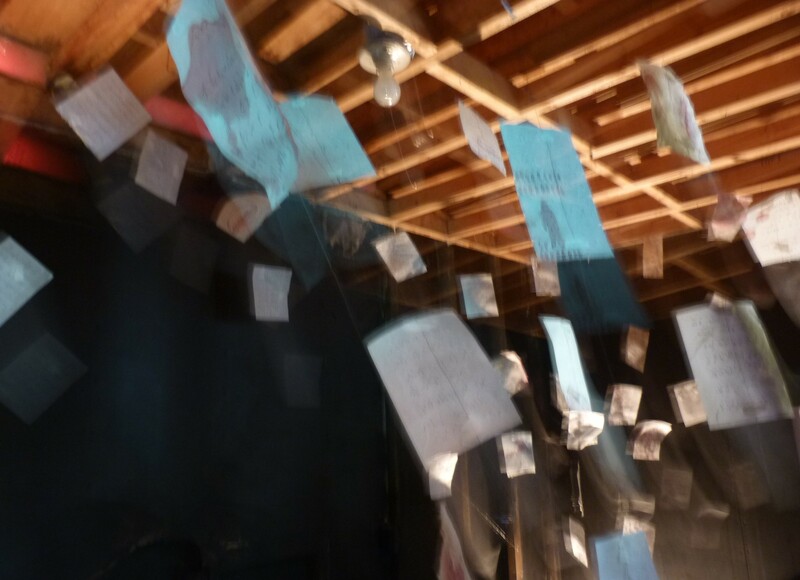 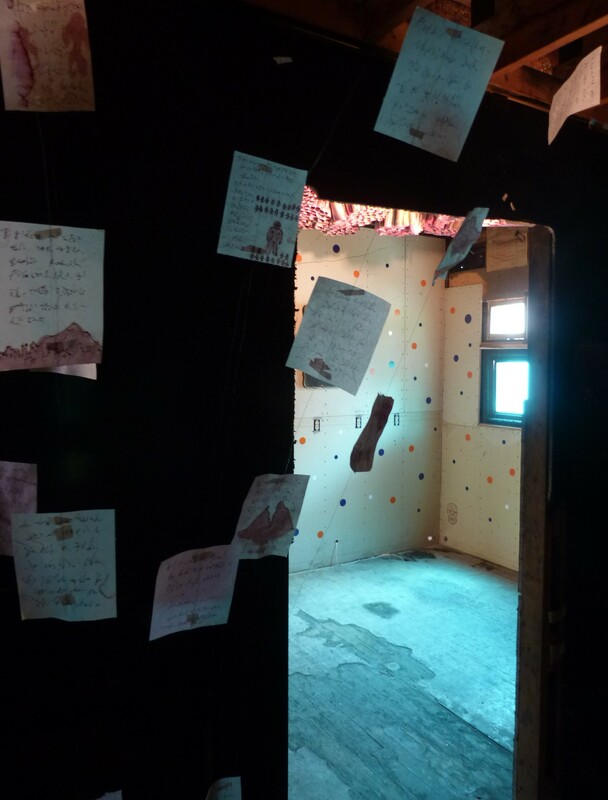 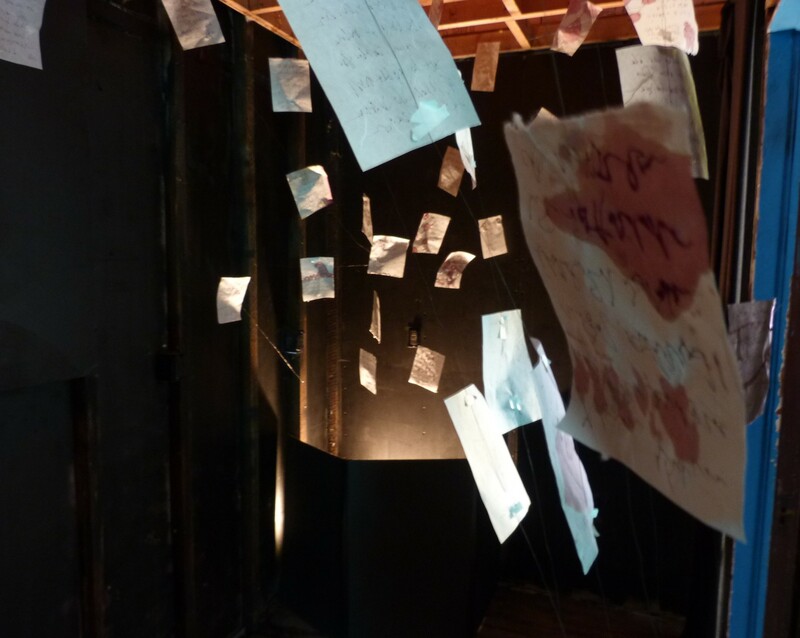 The event is located in a pair of foreclosed houses in Cleveland’s Slavic Village, and runs for only two days (5/16-17), making this installation more ephemeral than most. 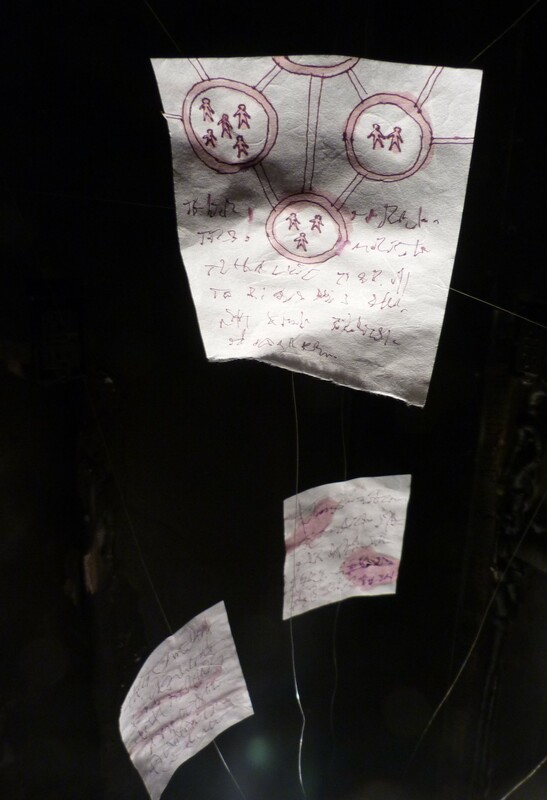 Fitting, given the setting.